Children’s Museum of Indianapolis-the largest children’s museum in the world! Visit this amazing museum with fun filled family learning experiences, including exhibits on physical and natural sciences, history, world cultures, arts and a dinosaurs! Indiana War Memorial Plaza Historic District– Pay your respects at this historic district which contains 2 museums (Indiana War Memorial Museum and Colonel Eli Lilly Civil War Museum) , 3 parks and 24 acres of monuments honoring veterans, including the Soldiers and Sailors Monument and the Veterans Memorial Plaza. 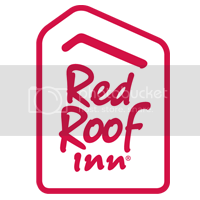 There are also many Red Roof’s near Indianapolis to stay at while you are visiting for the big game. Get more out of your travel and game experience by staying and saving with Red Roof!